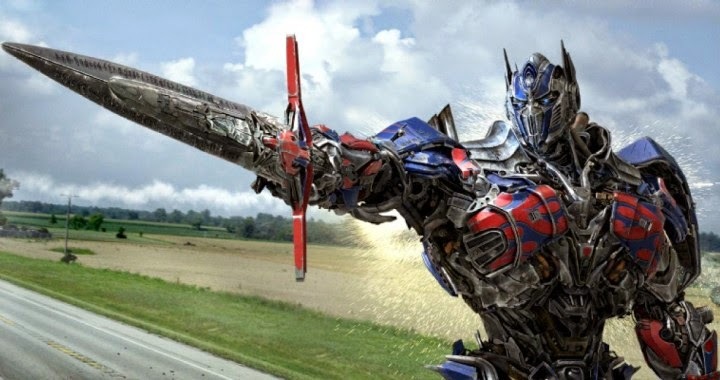 Paramount has just released a brand new trailer for its upcoming addition to the Michael Bay Transformers Universe, Transformers 4: Age of Extinction. Check it out! The film begins after an epic battle that left a great city torn, but with the world saved. As humanity picks up the pieces, a shadowy group reveals itself in an attempt to control the direction of history... while an ancient, powerful new menace sets Earth in its crosshairs. With help from a new cast of humans, Optimus Prime (voiced by Peter Cullen) and the Autobots rise to meet their most fearsome challenge yet. In an incredible adventure, they are swept up in a war of good and evil, ultimately leading to a climactic battle across the world. No Shia LaBeof, no Megatron, no Megan Fox, giant dinosaurs... could this be the turn-around that the "Bayformers" need in order to pull the franchise out of its infamous hole, or is Bay just replacing one big problem with another big problem? We'll just have to wait and see this summer. Transformers 4: Age of Extinction stars Mark Wahlberg, Jack Reynor, Nicola Peltz, Stanley Tucci, Kelsey Grammer, and Sophia Miles and hits theaters June 27th, 2014.